Guide for the Fool Confidant. We will update this as we go along. The Fool arcana is held by Igor. Unlike the other games, the Fool Arcana no longer uses the team as one of the holders of the Arcana. This is a Persona 5 confidant guide for the Fool Arcana. 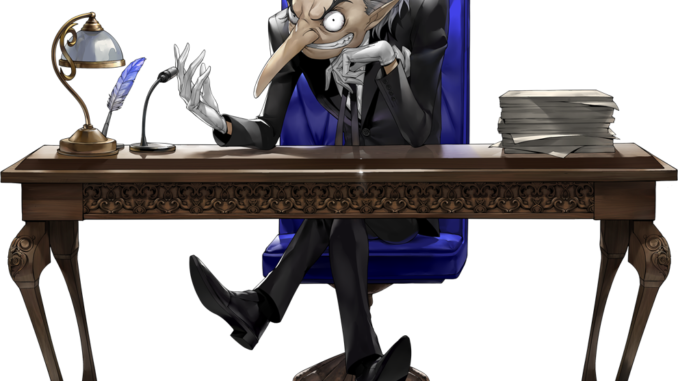 Igor is a recurring character throughout the Persona series. He is the manager of the Velvet Room with his assistants, Caroline and Justine. He helps you progress through the game when it comes to managing your persona. Despite symbolizing the Fool Arcana, Igor is far from ignorant or foolish. Igor is unlocked and ranked up as the story progresses. He cannot be missed.